We love hearing from DiSC users about their experiences with the profile. While DiSCProfile.com doesn’t deliver assessments directly, our clients do. Here is an example compiled from some of their experiences. This is a representative case study and not an exact representation of what occurred. The leadership team was experiencing conflict with communication gaps, interpersonal difficulties and trust issues. There were several major changes occurring at the organization that made these issues so problematic they approached a trainer/coach for help. 1) The trainer gathered the entire leadership team into a small conference room this team didn’t often use. They identified the challenges they were facing, both interpersonal and project-related. Challenges were agreed upon, but not discussed at length. 2) The trainer met with each individual again to get agreement on the challenges and to learn more about each viewpoint. The COO expressed frustration and confusion. He was given the Everything DiSC Management profile to help him gain confidence and understanding. 3) ) The COO found the assessment so useful he asked HR to have the entire organization take it. The trainer asked him just to endorse the assessment for the leadership group for now. 4) The trainer took the leadership group through two four-hour sessions adapted from the Everything DiSC Management Facilitation Kit. 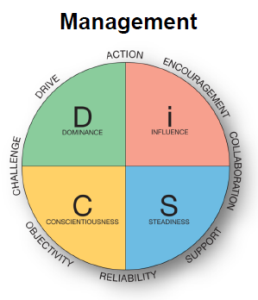 (Now that Everything DiSC Work of Leaders is available, we’re seeing a few organizations take advantage of using it if several members of a group have already taken another DiSC assessment or if they see leadership rather than management as their top issue.) They covered the content in the modules, Introduction to Your Management Style, Directing and Delegating, Creating a Motivating Environment and Developing Others. They also discussed issues of trust, the stages groups go through as they form, and transparency. 5) Individual coaching meetings were scheduled and before each one the trainer created Everything DiSC Comparison Reports showing how the person being coached might interact with each of the other team members. Together the trainer and manager walked through the reports and the tips offered there. They created reminders for working with the leadership team as a whole and for working with each member of the team. This leadership team reported greater communication and productivity as a group and with the teams they managed. They continued to refer to the Comparison Reports throughout the year. 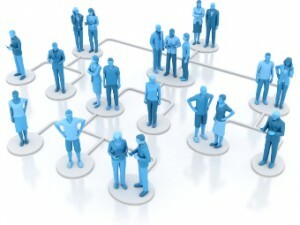 How have you made use of the Management profile? Have you used it in conjunction with leadership tools?